Get hands-on experience working with Minor League Baseball's premier organization. The Lehigh Valley IronPigs are hosting an Intern Hiring Fair at 2 p.m. Friday, Nov. 16 on the PNC Club Level at Coca-Cola Park. During that afternoon, members of the IronPigs' front office staff will be conducting interviews for 2019 seasonal associate opportunities. To sign-up for the Intern Hiring Fair, fill out the application here. These full-time positions typically begin in early January and continue through the conclusion of the IronPigs baseball season (in September). Each associate will work primarily within one department but assist elsewhere across the organization as needed. Sell season and partial ticket packages, prepare finalized ticket and group packages, answer incoming ticket sales, work ticket windows during the business day, games and weekends. Assist on training program for all workers and staff, supervise food & beverage operations and staff, responsible for upkeep of employee files including new hire paperwork, scheduling of game day staff, record daily concession and portable inventories. Maintain online store, promote store and merchandise through social media, responsible for phone orders, group orders and Little League orders, maintain all storage areas, employee scheduling and daily set-up and execution of all merchandise points of sale. Assist in all maintenance issues, assist in hiring and scheduling of game staff (parking, security and cleaning crew), helping with set-up and breakdown of game related activities, and troubleshoot day to day problems relating to ballpark operations. Perform functions on the IronPigs Gameday Production Crew (Camera, Graphics, Stats Operations, Technical Director, etc.) and assist with the production of graphics, animations and videos to be used for both in-game entertainment and to fulfill sponsorships & ticket package requirements. The position offers the opportunity to work creatively and independently on projects, and as part of a team to enhance the in-game entertainment and atmosphere at Coca-Cola Park. Create unique, engaging and fan-friendly content for a variety of online platforms including Facebook, Twitter, Instagram, Snapchat and IronPigsBaseball.com. This associate will produce gameday graphics, promote theme nights and assist in the team's marketing efforts. For more information on available positions or the Intern Hiring Fair, please click here or contact Zach Betkowski at zbetkowski@ironpigsbaseball.com. 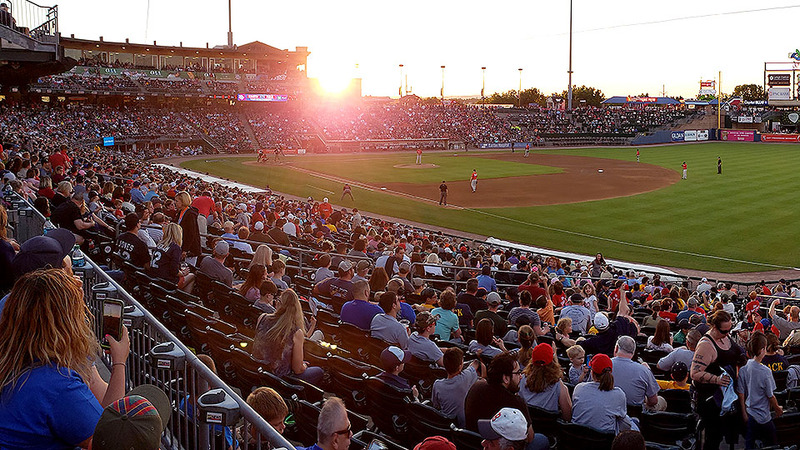 The 2019 season will be the IronPigs' 12th season at Coca-Cola Park and their 12th as the top affiliate of the Philadelphia Phillies. This season features the return of the Bacon, USA, Membership program, which gives members an unprecedented value in addition to their season tickets. Learn more at PigsMemberships.com. Group outings are also now available. Please call (610) 841-PIGS (7447) x2 for details, or to book your group.